This past weekend, varsity track and field competed in the South Jersey Sectional Meet in Ocean County, New Jersey. Several athletes finished in the top eight for their events, qualifying them for the NJSIAA Non-Public B Group Championships, which will be held in Egg Harbor this Friday and Saturday. 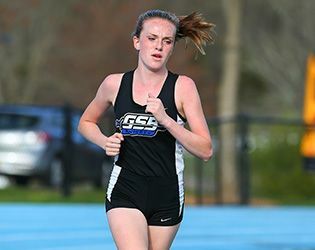 Highlights from last weekend's sectional meet include a first place finish for Nicole Johnson '18 in the 800m and new school records for both the boys' and girls' 4x800 relay teams. Go Knights!